Home » Articles » Who is Another comforter? » The Advent of the “Another Comforter” depends upon the stringent condition that is- Jesus has to go way from this world! The Advent of the “Another Comforter” depends upon the stringent condition that is- Jesus has to go way from this world! Label: Articles, Label: Who is Another comforter? 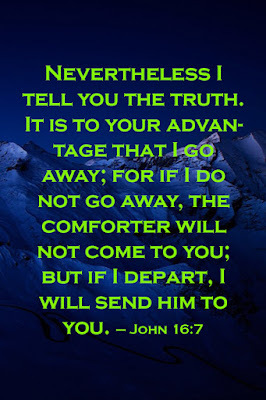 The Advent of the another comforter depends upon the strict condition that is- Jesus has to go away from this world otherwise the advent of the Another Comforter would not take place at all which we can see as here under. If we observe the above verse analytically some important points come in to light as regards to the promise of the advent of another comforter as follows. 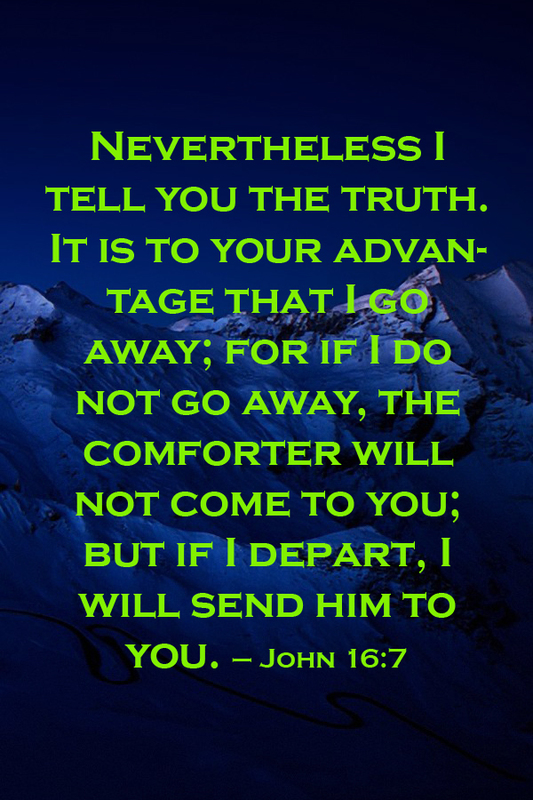 According to this it is advantage for us provided Jesus go away from this world. What is that advantage? This means provided that Jesus does not go away from this world what would happen? 0 Response to "The Advent of the “Another Comforter” depends upon the stringent condition that is- Jesus has to go way from this world!"